David and I rise early and listen to the 6:20 a.m. shipping forecast. The weather in northern Europe this summer is proving to be unpredictable, and we need to keep a keener eye on it than usual. 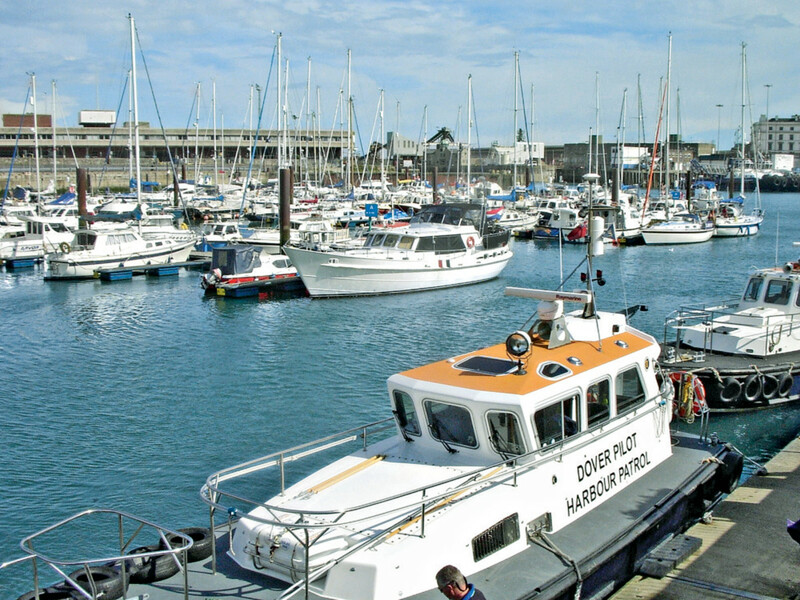 The forecast is marginal, but what we can actually see of the conditions makes us decide to set out for Dover, on the southeast coast of England. By 7 a.m. we have left our berth at Nieuwpoort in Belgium and are out at sea. It is reasonably calm and pleasant, with an 11-knot wind. 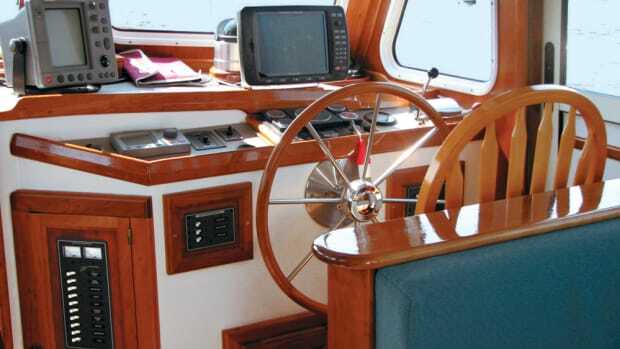 Our boat, Fidelio, is a 50-foot Dutch steel motoryacht with a canoe stern and twin 120hp engines. We bought her in Holland and this is her maiden cruise, from her base near Amsterdam, down the Belgian coast, and across the channel to England. By around 10 a.m. the wind has started to increase and sometimes rises above 20 knots.We stay on course for a time to see what happens, but the wind shifts from the southeast, on our beam, to the south, closer to our bow. With the current about to change, this will cause an uncomfortable wind-over-tide situation, especially since the wind continues to increase. We try pointing Fidelio&apos; s bow at Ramsgate, England, to see how much that improves matters, but the answer is: not much.We decide to turn toward the French coast and go into Dunkirk, Gravelines, or Calais instead. With a strong offshore wind, we plan to hug the coast, as we expect it will be quieter closer inshore. Our new course soon takes us past the Dunkirk beaches. It was here duringWorldWar II that hundreds of thousands of Allied soldiers, cut off by the German advance, waited for days under constant fire to be rescued by sea. As we had hoped, conditions are much calmer inshore, and we decide that as long as things remain like this we will head for Calais, as this will make for the shortest channel crossing of all-just 22 miles. Calais is not the easiest harbor to enter. There is heavy traffic, including large car ferries plying the Calais-to-Dover route. This is complicated by the sandbanks, which require shipping to follow a buoyed deepwater channel that is not very wide, producing dense concentrations of very large commercial vessels. 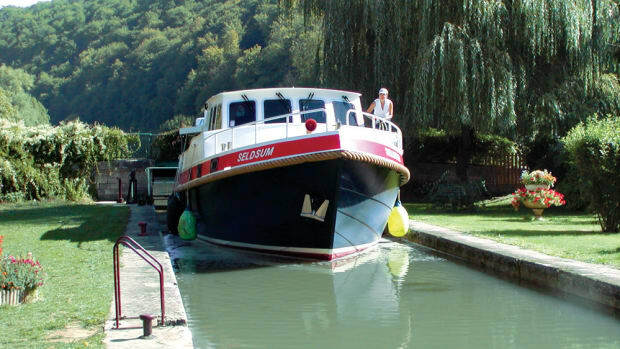 Leisure craft are required to give way to them because of their limited maneuverability. We are not sorry for our forced stop at Calais, however. With its many shops and hypermarket, it is an ideal place to provision a boat with French food and wine, and there are a lot of restaurants to enjoy. After a pleasant few days&apos; layover, the weather has improved enough for us to leave the marina in Calais. Because it&apos;s a tidal marina, we can exit only around high tide. However, this has the advantage of enabling us to set a direct course for Dover, as we can easily clear the sandbanks rather than join the constant flow of ferries in the very long deepwater channel. In just under 7 miles, we reach the edge of the first traffic separation zone. The English Channel contains the busiest shipping lanes in the world, providing as it does the gateway between northern European ports and the rest of the world, and thus must be navigated with extreme care. International law says that when you cross the traffic separation scheme, you must do so at right angles; that is, by the shortest possible route. It is like crossing a huge freeway with only your GPS to tell you when you&apos;ve made it to the other side. It is at least made easier by the fact that in the first zone, or lane, all the ships are traveling northeast. Then there is a dead zone followed by the other lane, where everything is heading southwest. Everything, that is, except the numerous cross-channel ferries, which are following the same Dover/Calais course as us. You also have the strongest tidal streams in the region here, and the wind takes on a funneling effect as it passes through the relatively narrow channel. Both of these can quickly push you off course if you are not alert. It is vital to follow the regulations not only for safety but because yachtsmen have been prosecuted for disobeying them. Ships in the traffic separation scheme have the right of way. At one stage we have 22 of them in sight, and it takes constant attention to know at any given time what every ship is doing.We are lucky today, however.We only have to alter course to avoid one, although several times we find it prudent to move over for ferries, whose crews seem to have less consideration for small boats than many of the big cargo ships. In fact, you will quite often see the large ships change course for you, before you have time to move for them, but the ferries rarely do. Evasion tactics add an extra 2-1/2 miles to our journey. As we approach Dover, with its famous white cliffs, we head for the western entrance because this tends to be quieter than the eastern one, which is dominated by a steady stream of ferries. But when we call up Port Control for permission to enter, we are told to wait until the Seacat comes out. This massive, high-speed catamaran ferry en route to Calais suddenly fills up the harbor entrance, hovers a moment, and then comes roaring out toward us, throwing up an enormous wash. Mentally, you know that any minute now the huge vessel in front of you is going to surge to starboard, which is the logical route to its destination. But, because of the angle by which it has to leave the harbor, there are a few irrational moments when you are convinced that against all odds, this leviathan is going to maintain a straight line and atomize you. Dover is impressive, with its huge castle dominating the hilltop above the harbor. It is well worth a visit. So is the local museum, which contains a surprisingly wellpreserved Bronze Age boat thought to be 3,000 years old. With a successful maiden voyage under our keel, from this historic landing we can now make our way north to Ramsgate, up the River Thames, and beyond, with much confidence in our steel vessel. Meanwhile, we have already been acquiring cruising guides and charts in English for next summer&apos;s cruise. We will head down the French canals to Paris and Strasbourg, then back up along the Rhine, past Germany&apos;s famous castles. This is our favored plan...at present.